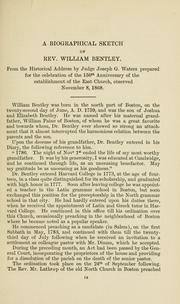 2 editions of The diary of William Bentley found in the catalog. Add another edition? Are you sure you want to remove The diary of William Bentley from your list? 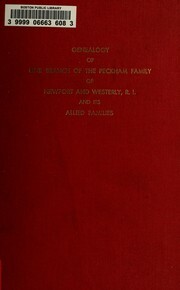 Published 1905 by The Essex institute in Salem, Mass . v. 1. 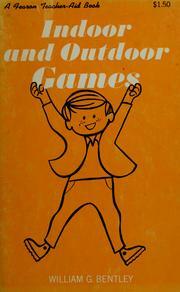 Biographical sketch, by J.G. Waters. 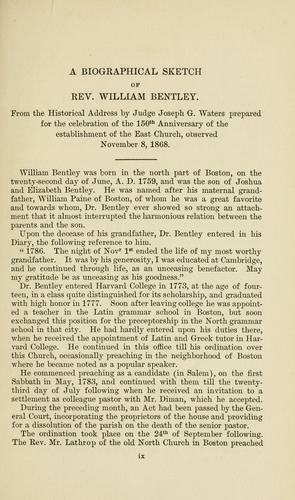 Address on Dr. Bentley, by Marguerite Dalrymple. Bibliography, by Alice G. Waters. Account of the East meeting-house, by J.G. Waters. Diary of Dr. William Bentley, 1784-1792.